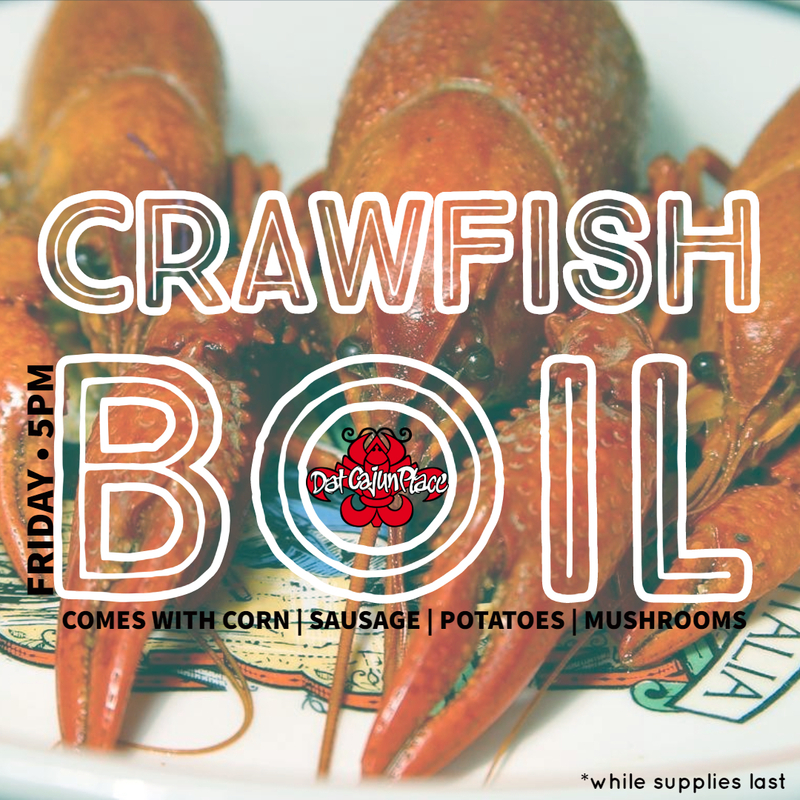 Every Friday Night at 5pm DCP hosts a seafood boil. Shrimp is anytime we do not have crawfish. *All boils are subject to price changes.